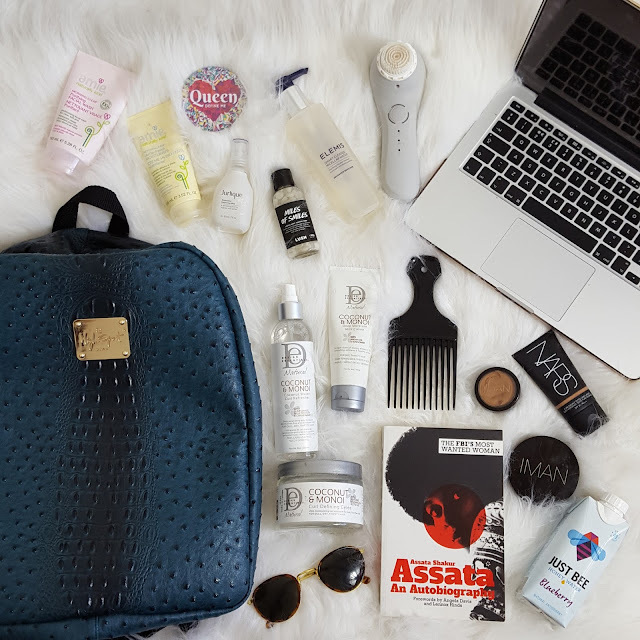 Travel Essentials | What's in my bag? 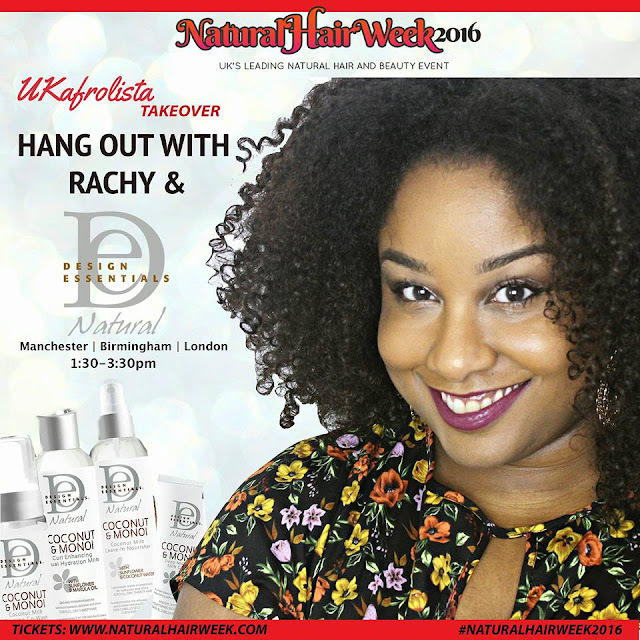 I head out for Natural Hair Week tomorrow! I am doing my last minute packing. Trying not to over pack or under pack. It's hard for me as I like to pack the whole house! I decided to start with the essentials in my new HighSpirit backpack (isn't it so pretty!!) This backpack fits SO MUCH STUFF!! 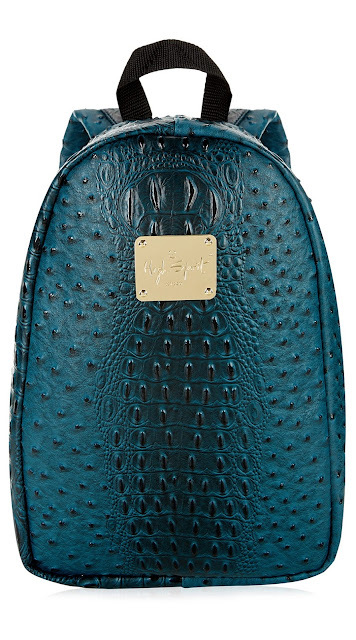 Other than being such a beautiful item, it has an inbuilt laptop sleeve, so my macbook can be well rested ;) , there are also hidden compartments to store small items, it is has a PVC exterior, fully padded AND THE BEST PART IS.....the entry zip is on the inside of the bag!! (and yes I am shouting), I have many backpacks and don't wear them because I'm also worried about greedy fingers coming along and teefing my tings that I work so hard for!! ( aka stealing my things). 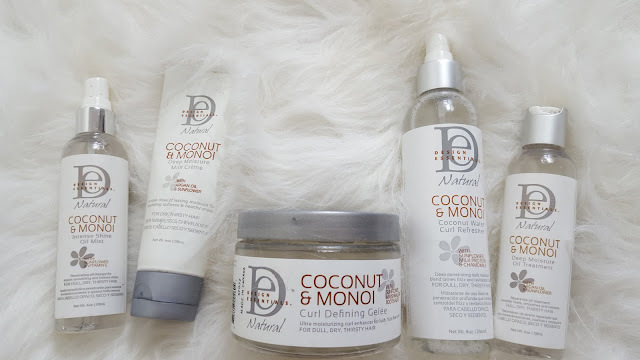 I have recently been experimenting with my skincare products and have fallen in love with Amie Skincare's Morning Clear Purifying facial wash and Matte-finish moisturiser. They are so gentle on my skin and leave me looking so refreshed, which is needed lately as I have been missing sleep. Of course I had to pack my Magnitone body brush as it is a life essential!! I was given this Jurlique Rosewater Balancing Mist at an event a few weeks ago and I must say, I am impressed. I have never been interested in face mists, because in my mind I just felt like...why am I spraying water on my face?? Well, I was wrong!! It has made a difference to my skin and overall appearance. My skin is left balanced, toned and fresh. A definite must have!! I attended an event on Monday and was gifted the Elemis Smart Cleanse Micellar Water, and this was another product that I thought...erm...why do I need this? And once again...I was proved wrong. This is happening too often. I need to learn to be open with beauty products and not so skeptical!! (lesson learned) Well, this product cleans off all my makeup and dustiness from the day, leaves my skin very very supple and moisturised. I was feeling my face afterwards and truly couldn't believe how soft it was!! I am a huge fan of Lush Cosmetics toothy tabs! I have been rotating the packs and am currently trying out the Miles of Smiles, Triple Mint Toothy tabs. Of course we all love fresh breath and these do the job. Speaking of make-up, of course I couldn't fit it all in my backpack and it will be going in my suitcase!! I am in love with the Nars tinted moisturiser!! It gives me enough coverage for my skin to look amazing and stay moisturised. 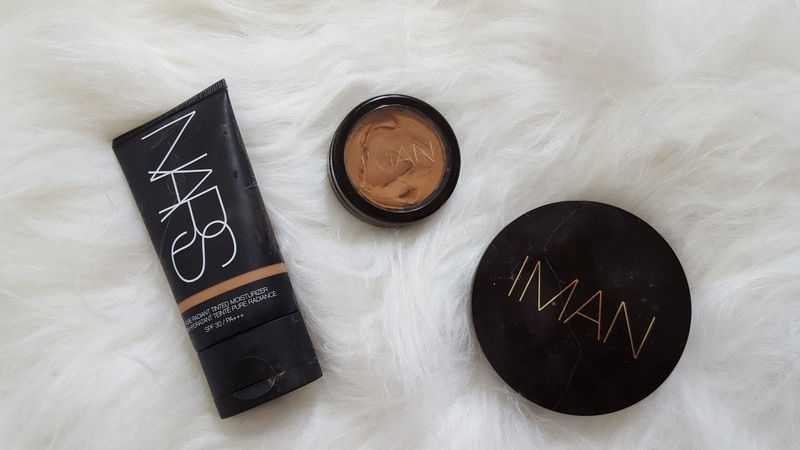 I also have the Iman Cosmetics CC Cover cream for the blemishes on my skin. Next up are my Hindsight Vintage Sunglasses, because even though the sun may not be blessing me with warmth, I still have to look fly!! My I Define Me Tour Queen pocket mirror so I can check that everything is on point, hehe! 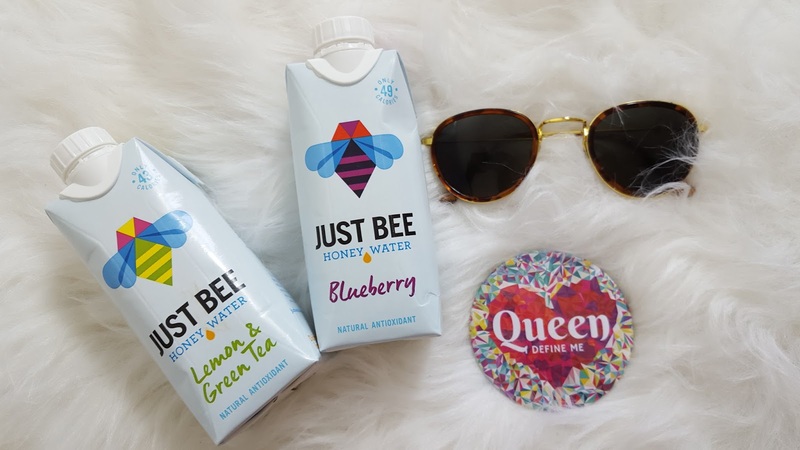 Just Bee Honey Water to keep me hydrated. Love this stuff, stay tuned for my full review and more about why I love this company! SAVE THE BEES!!! Of course I had to pack my haircare products, because that is what is most important, whilst being a panelist for the largest natural hair event in the UK. So my curls have to be on and popping!! I will be hosting the Design Essentials stand in Manchester, Birmingham and London! So if you are attending, come and hangout with me between 1.30-3.30pm. I will be taking over their instagram and periscope, so make sure you tune in!! 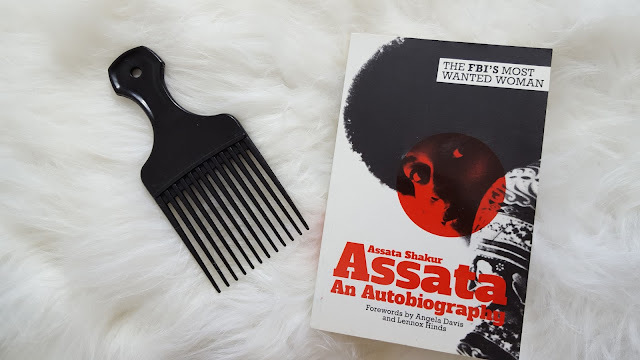 Other essentials I had to have is my Assata Shakur book. I have had this for ages and haven't had the time to read it! So I shall be lost in it on the coach! AND OF COURSE.....My afro pik!! Big Hair Don't Care all day! !